Over the past week, major averages dropped between 7 and 10 percent. Foreign markets much worse. Coming into this week, we were discussing how awful the market was acting in a time of seasonal strength. As I have told you, the market has been higher from Veterans Day until the end of the year…10 out the 10 years and 22 out of the past 24 years. WE WALK IN MONDAY TO A 260 POINT GAP IN THE DOW. WE WALK IN TODAY TO A 360 POINT GAP ON THE DOW. For the week the Dow is up 813 points, getting back almost what they lost in the prior 7 days. 620 of those points were off a gap. As I’ve been telling you with these outlier events and these ridiculous moves both up and down, I’m just better off telling you what the leaders are and let all this noise continue. When you have so many things happening to affect markets and so many people interfering, nothing is off the table. Major averages are back at resistance levels which are under the massive resistence levels of the Feb through August period. That’s where we are after this 2 out 3 day move up. It is with a great sense of disappointment that I write this. Like many others, I hoped that your election would bring a salutary change of direction to the country, despite what more than a few feared was an overly aggressive social agenda. And I cannot credibly blame you for the economic mess that you inherited, even if the policy response on your watch has been profligate and largely ineffectual. (You did not, after all, invent TARP.) I understand that when surrounded by cries of “the end of the world as we know it is nigh,” even the strongest of minds may have a tendency to shoot first and aim later in a well-intended effort to stave off the predicted apocalypse. On Thursday, Dec. 1, the city’s de facto ban of the Happy Meal commences. San Francisco has accomplished what the Hamburglar could not. Or has it? In order to include a toy with a meal, restaurants must now comply with city-generated nutritional standards. http://garykaltbaum.com/wp-content/uploads/2015/11/GaryK-RedTie-Head-Shot01.png 630 1020 aaronmat-admin http://garykaltbaum.com/wp-content/uploads/2019/01/gary-k-logo7-01.png aaronmat-admin2011-11-30 07:48:402011-11-30 07:48:40MORE FABULOUS GOVERNMENT DECISION-MAKING! Standard & Poor’s on Tuesday cut its credit ratings for many of the world’s largest banks, including Citigroup (NYSE: C), Goldman Sachs (NYSE: GS) and Bank of America (NYSE: BAC). The move follows S&P’s shift, announced earlier this month, in the methods it uses for rating the banks. Citigroup, Goldman Sachs and Bank of America Corp. each had their long-term credit rating downgraded a single notch to A- from A. Similar cuts were applied to JPMorgan Chase (NYSE: JPM), Wells Fargo & Co. (NYSE: WFC) and Morgan Stanley (NYSE: MS). DID I TELL YOU? I AM TELLING TIGER WOODS HOW TO FIX HIS GOLF SWING! President Barack Obama pressed European Union officials on Monday to act quickly and decisively to resolve their sovereign debt crisis, which the White House said was weighing on the U.S. economy. After meeting European Council President Herman Van Rompuy and European Commission President Jose Manuel Barroso, Obama said he was keen to see the euro zone crisis end. “I communicated to them that the United States stands ready to do our part to help them resolve this issue. This is of huge importance to our economy,” Obama, seated next to the EU leaders, told reporters. A possible step would be for Washington to support more aid to Europe from the International Monetary Fund, where the United States is the biggest shareholder. http://garykaltbaum.com/wp-content/uploads/2015/11/GaryK-RedTie-Head-Shot01.png 630 1020 aaronmat-admin http://garykaltbaum.com/wp-content/uploads/2019/01/gary-k-logo7-01.png aaronmat-admin2011-11-30 01:00:272011-11-30 01:00:27DID I TELL YOU? I AM TELLING TIGER WOODS HOW TO FIX HIS GOLF SWING! U.S. Airways said they are standing by their decision not to refund money for tickets purchased by a woman diagnosed with terminal breast cancer. Lynn McKain and her family had purchased five round-trip tickets earlier this year to Belize. The dream trip was booked after she had been cleared of breast cancer. However, she was recently diagnosed with stage four breast cancer and her doctor ordered her not to travel, according to a report on WUSA. When the McKain family asked for a refund on their $4,200 tickets, the airline refused, explaining that the tickets were nonrefundable. http://garykaltbaum.com/wp-content/uploads/2015/11/GaryK-RedTie-Head-Shot01.png 630 1020 aaronmat-admin http://garykaltbaum.com/wp-content/uploads/2019/01/gary-k-logo7-01.png aaronmat-admin2011-11-29 20:43:272011-11-29 20:43:27TONE DEAF DUMMIES! At the open this morning the Dow gapped up 260. Another gap. What was the news? There was talk about how Black Friday was very good and how sales were much better than expected. There was talk about another 800 billion Euro save of Italy, Spain and Greece of all those places. We’ve been hearing that for the better part of 20 months. For me, there’s only reason why we gapped up big. The market’s trying to drive everybody up a wall. The markets were beyond oversold by all my measurements. We were due to rally. But we don’t rally any more. WE GAP. The problem with these gaps…if you can’t get in, you’re paying up. And the same goes for the downside. You can’t get out. The other thing I’ve been telling you about…10 out the last 10 years and 22 out of the past 24, the market has been up from Veteran’s till the end of the year. The market topped on Veteran’s Day and has come straight down. So it’s got some work to day. Today went a long way towards that. THIS IS DAY ONE OF AN ATTEMPTED REALLY, WITH NO GROWTH LEADERSHIP WHATSOEVER TO BE FOUND. Just things recovering a bit after a nauseating drop of the the past 7 days. Could we get a new rally out of this? Anything is possible. Especially right now into month-end and year-end. Good riddance! One of the culprits who have brought us to the brink. Defended Fannie and Freddie to the wall…but now disavows. But don’t worry Barney. You will now become the head of Goldman, Citi or a high paid lobbyist. Longtime Rep. Barney Frank, D-Mass., will announce his retirement Monday at an afternoon press conference in Newton, Mass. The 16-term lawmaker, whose name is emblazoned on the banking reform law that passed Congress last year, had long been rumored to be ready for retirement. He was previously chairman of the House Financial Services Committee but is now ranking member since Democrats lost the majority in the 2010 midterm election. 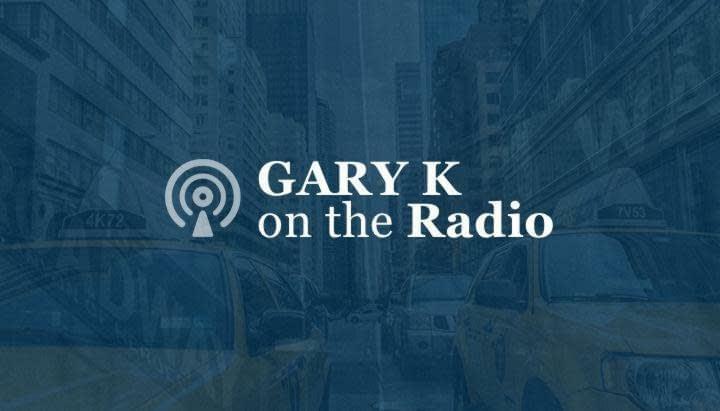 http://garykaltbaum.com/wp-content/uploads/2015/11/GaryK-RedTie-Head-Shot01.png 630 1020 aaronmat-admin http://garykaltbaum.com/wp-content/uploads/2019/01/gary-k-logo7-01.png aaronmat-admin2011-11-28 08:53:122011-11-28 08:53:12GOOD RIDDANCE!